Today is the due date for the baby we lost last January. As I looked in the mirror over the past 9 months, I wondered how big my “bump” would be by whatever date it was. Now that my baby would have likely been born had I not miscarried, I feel I am finally able to start feeling un-pregnant again. The experience of miscarrying a baby has been an incredibly painful, intense, and awe-inspiring journey. I have been so touched by all the stories and experiences shared with me about baby loss throughout these months. It is a topic I had considered several times during adulthood, knowing many people in my life who had faced this challenge. However I never knew how much my views and understandings of this subject would expand and deepen after miscarrying myself. It has been a life altering experience, to say the least. And beyond my own experience, I know every single miscarriage is different. On this day – the day I would have been expecting to meet my darling child and help them begin their journey on earth – I am choosing to honor what my baby has given me instead of lament what I have lost. Though I am not forgetting the pain, I am focusing on love instead. Here are 15 lessons learned from miscarriage, and positive character traits that my baby has helped me develop. 1) Life is a miracle. It is so amazing how little babies come into the world. Having had two straight forward pregnancies before miscarrying, the process seemed wonderful but somewhat simple. Now I realize a small degree more about how intricate and complicated it really is to create and sustain life – and how trusting we must be since so much is out of our control. 2) We should value the time we have, because more time is not guaranteed. Losing my baby has been a true lesson for me to remember how fast life can be altered – or lost – without any warning, at any time. Life is so easily taken for granted, and my baby has reminded me how important it is to be thankful for the time we do have. 3) People can have a great impact on you, even if you do not know them. I experienced an early miscarriage, but that did not change the fact that this little baby has had a huge influence on my life over the last 9 months – and will continue to do so forever. It has made me consider how many other people are influencing me without me even knowing, and how respectful I should be of every single person near and far. As a human family, we are all so interconnected. 4) Mixed up emotions are normal. The feelings that come after seeing other pregnancies and birth news sometimes catches me off guard. It is not that I am jealous or comparing my situation, but sometimes other babies simply remind me of what I have lost and remind me of that whole painful area in my heart. I have learned now that you can feel many things at once, and that accepting the validity of each emotion (even if they seem to contradict each other) can help you work through them and move forward. 5) Time does heal… but the sadness may never go away. I feel much “better” than I did 8 months ago. But that does not mean the sadness has gone away. A friend recently sent me this article from the NY Times which, although is not about miscarriage specifically, made me realize that grief in itself is an emotion that can last for years, for decades, and there is nothing *wrong* with that. These feelings may make us feel vulnerable, but that is just part of the life and growth cycle. 6) Being a friend should go beyond words. The messages I received from many people helped heal my heart to a great degree, but the three friends who brought me food, created a remembrance for my baby, and kept me company saved me from isolation within myself. These gestures meant the world to me at a time I was incredibly lonely. From experiencing the benefits of action, I have resolved myself to do my best to be a better hands-on friend in the future. 7) The aftermath of certain life experiences can be more than expected. The miscarriage itself was more consuming than I could have ever predicted. But I never knew that the aftermath – the milestone dates, the process of choosing when to get pregnant again, all the fear associated with pregnancy, and even my relationships – could be so interwoven with my miscarriage experience. Through this understanding, I have learned not to assume anyone is “finished” dealing with an issue and to try to be more tactful. 8) We can never know everything that is going on in the life of someone else. Someone may be holding things together pretty much everywhere but inside – and you may only see signs of their hardship through things like forgetfulness/ backing out of plans/ apparent grumpiness etc. It is a reminder to me to try to be a little more compassionate with everyone… you never know what they have experienced and are dealing with. 9) Planning cannot guard you from unpredictable events. I am a huge planner. But I could have never taken my miscarriage into account. And then the planning for a future pregnancy has been so up and down (due to personal and situational reasons) that I have really had to let go of control. I have now learned that I can plan as much as I want but, to save myself disappointment, I need to open my heart to whatever may come. 10) No matter how hard you search for reasons, there is uncertainty and mystery in life. I cannot convince myself to be “satisfied” with the good reasons for what happened. I know that the baby was probably physically unable to sustain life. But those reasons only address the logical part of my being and do not give me comfort. Instead I have to try to find a way to move forward, submitting to the mystery of the world, instead of searching for reasons. 11) We can always grow from experiences. Each moment we have is an opportunity to make a better life, to see reality more fully, to renew ourselves, and to give more selflessly. It may take a while to put it all in perspective after experiencing loss, but challenges can help us grow if we allow them to. 12) I want to focus on sharing only LOVE with others. Any negativity is just not worth having in this short life. That includes negativity towards the people around us, situations we face, our environment, and even ourselves. I don’t want to turn a blind eye to difficulties. But I want to face them head on with love. 13) Healing may be different from what you envision it to be. During my healing process, I cried, wrote, emailed with a lot of friends, and tried to immerse myself in meaningful work. I have heard others painted, wrote poetry, planted trees, created scrap books, bought art or ornaments, and created special family traditions in memory of their lost ones. Whatever way you would like to go through the healing process is right for you. 14) Taking time for reflection can be time well spent. I find driving in the car listening to music is the time that I feel most comfortable thinking of my baby. I give myself permission not to think about the to-do lists or the jobs I could be doing, but just relax and think about my little one. Have you heard Small Bump? I tear up every time. Just acknowledging my baby’s reality helps me feel closer to him/her. 15) I will love my baby forever. It does not matter that I did not get to meet my baby face-to-face or raise it through childhood, I will always consider my baby part of our family and honor their place in the world. All these “life lessons” I learned from a little baby that was growing inside me for such a short time. They are gifts that will last a lifetime as I hold the memory of my baby close to my heart. I know everyone’s experience of miscarriage is unique. I have decided to open up about this subject because I believe it is very important to address; so many women experience miscarriage in their lifetime and suffer in silence and isolation. You may or may not relate to the points mentioned above. I welcome you to share your own experiences and lessons in the comments below. To those of you who have lost babies: my heart goes out to you and I hope we can all grow from the experience of suffering to become more loving and compassionate sisters to each other. This post is part of the Growing from Motherhood series in which mothers discuss various issues that have entered their lives and reflect on how they can grow from the challenges. To read more articles in the series click here. Beautifully written and extremely important post. Thanks for bravely sharing your story. One of the best books I’ve read is “I’ll Hold You in Heaven” by Jack Hayford. It’s full of truth, hope & encouragement knowing that God does honor all life & does heal our hearts. I was especially touched how your baby is present in your life & belongs there forever. Am sure his soul rejoys at it. Thank you for sharing this. 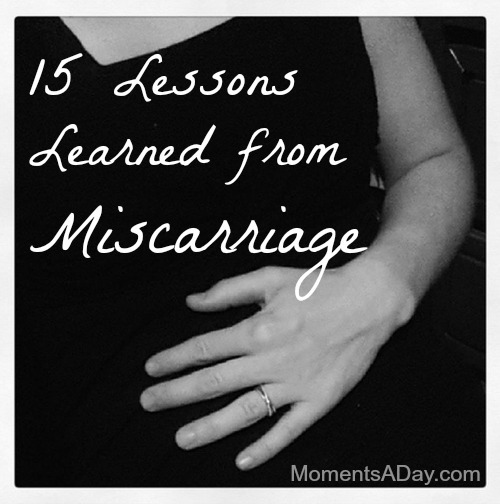 Miscarriages are something that you hear about but people do not usually talk about. I had a miscarriage earlier this year and would of been due in a few weeks. Each of your lessons reminded me that it is ok to think about, talk about and be happy and or sad for the loss of my baby. The point that resonated with me the most is #13. We need to give ourselves permission to process , to have time, to not rush over what we are feeling and diminish the experience. Thank you for addressing a difficult topic and sensitive experience in your life. You are a choice person that bravely adds a voice to enrich all of our lives. What a lovely, difficult, wonderful post. And I was so surprised to realise that my second miscarriage taught me that even in the worst of times there is good… it actually helped me to be a much better person. You have put into words what I have been thinking about my own miscarriage. Thank you!I was unexpectedly pregnant for the third time, and had just come to terms with adding a third child to our family when I found that the baby stopped growing at six and a half weeks. I was devastated and confused about how to feel since it was a surpirse pregnancy. It has been almost a year since I miscarried, but there are certain dates that get to me and I have a bit of a breakdown. It was so frustrating to hear people say “well at least you have two beautiful children,” or ” it happened for a reason.” I truly now think of my family as five even though there are only four of us that the world can see. I try my best to find small ways to honor my angel baby. Although it was one of the most difficult things I went through, this miscarriage has made me a better person. Thanks again for sharing your story and thoughts. It was extremely meaningful to me. God bless! Chelsea- you truly are such an amazing mother, wife, and woman. Thank you for opening up and sharing your story and your healing process. Love and hugs to you, especially on this day. Blessings! Thanks for sharing, this is a great post. I have had miscarriages too and I’m still struggling. Number 15 really stroke a cord and it helps to see I am not the only ones who still loves my unborn babies. For a time I thought it would slow the healing process but I now know that acceptance will help me get better and move on. 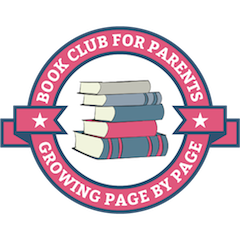 Thank you so much for sharing this post on the Sunday Parenting Party, I’m sure every reader will find this helpful, either from personal experience, or from being a friend (your number 6). I’m so sorry you had to go through this, but thank you so much for making your experience so supportive to others. I’m pinning this to the SPP pinterest board and sharing on FB. A lovely list and a lovely way of looking at it. Thank you for sharing. What a powerful post Chelsea. I’m sure many people would be able to relate to it and be guided by the things you learned. Lots of love. This is something that holds such a special place in my heart. I lost my first pregnancy and it was devastating, but such an important and incredible learning experience. I wouldn’t be the mama I am today if it weren’t for losing him. Although I wish his heart never stopped beating, I am blessed with what the loss and grief taught me about myself, others and life. I lost my first Pregnancy this past November at 11 weeks. We just started trying to conceive again. These lessons are really difficult. This post resignates with me that I need to stop planning & your comment that you have babies now is inspiring. I hate this lesson that I had to be taught. Thank you for sharing this. An important read for all. Thanks Chelsea for having the strength to share this post. I have read this post so many times. I want to leave a comment but not quite sure what to say. At the time, our miscarriage was the hardest thing I’d ever had to experience- I didn’t know at the time that life was about to hand me far more difficult circumstances. I felt so alone, but what I learned is that you never really know what someone is going through or how they are feeling. So many people tried to say the right thing but it always made me feel sad or angry. It has made me more aware of what I ask others when it comes to family planning. I think this is a beautiful post Chelsea. it may be hard to comprehend when you’re in the thick of the emotion, but it is true that lessons can be learnt. I sometimes stare into my baby boy’s eyes and think about the fact that I would never have met him if we hadn’t experienced a miscarriage two years ago. Oh Chelsea! Thank you for sharing such a beautiful list with all us mamas. What a wonderful way to reflect on the gifts from your sweet angel baby and help others who walk the miscarriage path. Thinking of you two as you mark your first would-have-been-in-my-arms-now date. I’m sorry about your loss. I had a miscarrage in January and got prannegt again at the end of March, I am doing well and so is the baby! Here is some info I found for you, good luck!Does having one miscarriage mean I’m likely to miscarry again?No. Although you’re likely to be worried about the possibility of another miscarriage, fertility experts don’t consider a single early pregnancy loss to be a sign that there’s anything wrong with you or your partner.Some practitioners will order special blood and genetic tests to try to find out what’s going wrong after two miscarriages in a row, particularly if you’re 35 or older or have certain medical conditions. Others will wait until you’ve had three consecutive losses. In certain situations, such as if you had a second trimester miscarriage or an early third trimester premature birth from a weakened cervix, you might be referred to a high-risk specialist after a single loss so she can carefully manage your pregnancy. Was this answer helpful? I miscarried in November 2015. Waited 4 months before trying again. These past 2 months are our first trying again & my due date for the baby I lost is fast approaching: May 31st. I am hoping like in this post I will feel different or better after this has passed. I know it’s going to be hard. Thank you for sharing, it really means a lot. I had an ectopic pregnancy I didn’t know about. Although I felt deep inside that I was pregnant, the doctor put my symptoms down to something else and was doing all sorts of tests, including internal examinations, to find out what the problem was. I had severe cramps through the night and my body was trying to get rid of the baby I didn’t know existed. But my baby was a fighter. He fought and held on to life until the day my body couldn’t take it any more. He grew too big and my Fallopian tube ruptured, nearly killing both the baby and myself as I bled out internally. I felt so guilty that my body wasn’t a safe place for that child. I had two small children at the time, and my husband took a week off work so I could go on a retreat and process, paint and cry! I never had a due date, but it was just over 3 years ago since my baby died, and I was given a second chance at life, thanks to good doctors, and a thoughtful blood donor. I can never believe that God intended to create a life simply for it to die, but it does give me peace to know he’s in safe hands. I was given an ornament on my retreat, by a stranger, of a baby being held in a hand. It gave me something to hold that I never got to hold, and I still keep him next to my bed. Thanks so much for sharing. I have had 5 miscarriages, and it really has changed who I am, and how I look at the world. I have has twin girls and a little boy as well, and I’m so incredibly grateful for them! I feel as though im a much stronger parent and I also have the wonderful gift of being able to really comfort and talk about miscarriage to others who have had one. The children that I lost hold a special place in my heart. I love them, and I’m really hoping that they will be mine in the next life. To me, I have 8 children. 3 I cherish everyday. And 5 I hold dear in my heart. Thanks, Chelsea! Well written and very insightful. Lovely post! I had a 7-week miscarriage and was surprised by how much it impacted me and how long the effects lasted. I also am the planning type and was surprised to realize recently that most of my adult life has not worked out as planned, but that’s really okay! Thank you for writing about this and opening up discussion. Miscarriage is quite common but often not discussed. It was so helpful to me to have friends of all ages and both sexes telling me about their experiences of miscarriage and empathizing with my feelings. Thank you for this post. I have been struggling the past three weeks and find this very helpful. Ironically, I saw this post today. Today, the day I miscarried by first child. I too was not far along. However, the pain is hitting hard. Sporadically, I have shed many tears. Thank you for posting such wonderful words. I will always remember, what I felt, would be my first baby girl. Dear Sarah, I’m so humbled if my post could have helped in any small way. Best wishes to you as you navigate this emotional journey. I lost my baby last week and am not even sure what I feel right now. Sometimes I am still careful about what to eat and how to walk cause I feel like I have a baby in me and there are times I want to do all the things I couldn’t have done as a mom to be. This post makes me feel some peace inside. I don’t think anyone around me understands what I am going through and I had not even told a lot of people about it. I do not have adequate words to express just how eloquent and succinct this is. On the 30th May 2013, we lost what would have been, and still is, our second child. Since that day, I have been searching for the words to describe how I feel about the experience, and while those feelings seem to change on a daily basis, I think that the way you have expressed yourself here is a wonderful testament, not only to your child, and to the complicated nature of loss, but also to your strength of character. Thank you so much for sharing this, and I hope you know that your words will serve as a source of hope for so many grieving parents, just as they have for me. I wish I would have seen this back when you wrote it, I needed it then but it is so calming now. I still have a hard time breathing if I really think about it. I made it past the due date by training for a half marathon. It was the hardest thing I have ever done, but it gave me a reason to look forward with faith and I am a stronger person than I was 9 months ago. Thank you for your sweet words, I agree with every single one of them! Reading this made me feel so much compassion and love for others in so many ways. Your points on understanding empathy and that all people are going through daily struggles makes me look at things with a clearer view and to be more open to the idea that first impressions and outside demeanor can often be a defense mechanism. I lost my sweet baby at 13 weeks and was devastated. I struggled and continue to struggle with understanding the “how” and “why” but have come to realize that every day in itself is a struggle and it is up to you to love yourself, love your life, and to spread love to others no matter what. I hope to continue to learn to grow, plan less and let life and love meet. I can’t wait for the day to have a sweet little of my own but until then I hope to spread love of the life I am blessed with. Thank you for this post. Truly is inspirational. Thank you so much. I really needed to read this. I was 5 weeks when I miscarried nov72008. I had just found out I was pregnant Oct.28 and wrote my letter to go in the time capsule( like I did for my oldest daughter)to my baby telling him/her how excited I was to get another gift from God.after I miscarried I felt lost. I got pregnant again shortly I was due 11/4/09. Anna was born 10/27. I did not realize she temporarily helped me forget about the sadness I felt just 1 yrs earlier. I found that letter to my angel and kept it so one day maybe when my girls are old enough to understand they will know they have a baby brother or sister angel waiting for them. The part about unity really struck a cord. Once I miscarried I felt alone in my pain. I learned my mother in law also had one right before my husband. My mom had miscarriages before me and my brother. I wasn’t alone. Other women felt my pain and understood and could relate. Not that my husband wasn’t trying to be comforting or sympathetic. It was a different pain. I don’t think it was in vain. I was able to empathize and comfort another friend who recently miscarried because I could relate. Thank you for writing and sharing this. I am new on my miscarriage journey (I lost my little one on April 19th 2014 at 12 weeks), but already so much of what you say here rings true for me and my experience. I’ve wondered how I will feel on certain days, like what would have been our 20 week mark, and on our due date November 2nd. I am glad to hear from someone processing these key dates in a healthy way. I don’t want to get lost in the sadness, but I want to honor and recognize what I’m going through as I go. I have been writing a lot about it as well, and I’ve found that very therapeutic. Thank you so much for sharing. WOW! You nailed it! I had two 2nd trimester miscarriages with 4 early ones in between over a period of 18 months. It was a roller coaster of emotions the entire time. I already had 3 healthy pregnancies before and didn’t understand why I was “broken”. I decided to hop off the roller coaster and never try again. I’m at peace with my experience now. I made another connection while reading this. I’m not sure if you considered this, but you can also apply this to grieving the loss of a loved one by exchanging baby with said person and future pregnancies with future relationships. You see, my husband of almost 14 yrs. died suddenly a little over 2.5 yrs ago. There have been a lot of ups and downs since then, but I have grown so much. Thank you so much for sharing this because it is so hard when you’re grieving and nobody understands. I will definitely pass this on. I think it could even help people who’ve never experienced an intimate loss. Oh Lauren I can’t imagine how hard that would have been. Life is such a crazy ride, isn’t it? Sending love to you and yours – and yes I know there is a special place for all these beautiful babies. Thank you for your comments, Chelsea. I stumbled on your blog quite by accident. It would have been my baby’s 22nd birthday this week, if I had not miscarried at 10 weeks. At the time those around me felt it was strange to miss someone I had never seen or gotten to know. This subject should be talked about more openly among women. “Don’t feel pressure to feel one way or another. There’s no right or wrong way to feel.” And also don’t let others tell you how to grieve. I really appreciate your words, “Whatever way you would like to go through the healing process is right for you.” I was able to move a little further down the healing road when 4 years ago I was able to openly tell my now teenage children that there had been one more of them. When word got out that I had discussed this event from the past, I was asked, “Have you not forgotten about that yet?” Grief is very personal. I ran across this article on Pinterest today. I suffered a miscarriage January 2014. I was about 4 1/2 months pregnant with twin girls. This article is truly inspiring to me personally. I only hope that others who have experienced this type of loss are given the opportunity to read it. Each one of the lessons you discussed are things I learned during this process but I never really thought about it in those terms before now. At this time we are deciding when to try again which makes me anxious. Your article reminds me to be FLEXIBLE at a time when I want to be the planner that I am! I know this is a journey that I have little to no control of. It am also reminded of how much of a blessing it is to be a mother…something I pray to be one day! Thanks for this amazing article. Best Wishes! I went in for an ultrasound at 17wks and they didnt find a heartbeat. Im 38 so we had already had all of the genetic testing and been given a completely good report and we were told the baby was a girl. This was a complete shock (I have 3 healthy kids and pregnancies already). I was so far along that I had to be induced so i could deliver the baby. She looked perfect. We were able to hold her and we named her Alaina Grace. Her due date is next week aug 9 and this article is right on time for me. I am still hurting so much. I had a retained placena, lost 3/4ths of my total blood volume and eneded up with a hysterectomy. ..I am blessed with 3 other children but I will always feel like I am missing a piece of my heart. .my soul. Im not sure ill ever be “ok” again. Thank you for sharing with the world and all who have commented above. I recently miscarried about a week ago and I was 12 weeks along. When you stated not to take things for granted, I can completely relate. There is no guarantee In life and in the blink of an eye everything can change. On a Tuesday I went in for a checkup and my baby looked OK, then 2 days later I was in the ER finding out my baby was gone. This was my first pregnancy. During the week it seems easier each day, but when by myself, the emotions seem to come back. I have always been an optimistic person in life; however, this has changed my perspective even more. You never know what someone else is going through past the smile you may see each day. Life is too short to let the little things bother you. I am optimistic about the future and my husband are excited to try again when we are able. But after going through this, I realize how fragile creating a baby is and know that there is no guarantee this won’t happen again. To everyone that has experienced what it is I am experiencing now. Thank you for reassuring me that it is OK to feel what I am feeling and that I can grieve my own way. And to those that have had children since their miscarriages, you give me hope for my future. Thank you for putting into words how I have felt the last few months. I would have been due in another week and as we approach that date, it has been very difficult. Thank you for having the courage to share your experience. Thank you for this. For your honest thoughts and for sharing that beautiful song. thank you so much for writing about this. I just miscarried this weekend and have never gone through such joy and heartbreak within such a short period of time. It is a loss like no other and I can take away something from each of those life lessons above. Thank you. Thank you so much for opening up about miscarriage. I had my 4Th miscarriage yesterday morning. At first I wasnt going to let myself get upset about it….but I realized there is nothing wrong with crying and letting the grief out…im trying to get over this like i have so many times before..but its harder this time…so thank you for helping me process all these feelings and hormones…THANK YOU! I have happened to gone through this experience 3 times. And I am willing to go through it again, with all the fear it brings. It is hard. When I read the part on Vulnerability it struck me. I always due cry when I read about this subject. It is interesting how I can hold babies, and be happy for others. But it doesnt feel the same anymore. I relate to your post 110% and I am very thankful I read it. I lost my first 2 months and 10 days ago. It is very very raw. I feel sad every day and always think about the size my bump would be at if I never lost my baby. Focusing on love and positive thoughts now is definitely helping me move forward. Just wanted to say thank you for writing this! It is so important we talk openly about this as it affects so many women! Ohhh I’m sending you positive thoughts and lots of love – this is such a difficult time, take care of yourself <3 Thank you for your kind words. Thank you so much for posting this. It is so beautifully written. Yesterday was the expected due date of my little one that left too soon. It’s so strange because in an odd way I feel released- and you described it perfectly, I feel like I am finally able to start feeling un-pregnant. There is no more imagining how I would be at this stage in pregnancy. What you wrote echos all of the feelings, experiences, and thoughts I have had for the past 6 months. Despite all the support, miscarriage can still feel quite lonely at times. I really appreciate the positive light you shed on many of the obstacles one can go through. Thank you again for providing comfort in sharing your lessons learned 🙂 Many hugs from another Mother. Miscarriage was just a medical term for me before and now I am living thru it. I just lost my 5week 1day old angel yesterday. They said its not a baby yet, it is still a sac. Whatever terms they use to name it, for me, it is my BABY. Vulnerability and Submission hit me hard while reading your article. It will not be easy to move on, but one day at a time, I know i will be healed. Thank you for your article. I will keep reading it until I finally say “I am fine”. Well I just want to say I’m a mother of 2 wonderful boys and bring joys to my heart and I wouldn’t trade it for the world. I’ve had 3 miscarriage and my third one was today. It really makes you think why me why my baby. What did I do wrong or is there something I could do to change it. I must say whether your weeks or months to miscarriage the emptiness you feel is unbareable. I know my family and I will get through this hard time it’s just going to take time and patience. It really is eye opening to know that you never know how much time you have until it gone. I hope someday I will be able to carry a healthy baby to term. Thank you for allowing to share my story best wish to all . I’m currently going through the process. On Thursday, I started mild cramping and spotting, and am in process of my body miscarrying. My baby defied many odds at first. My husband had a vasectomy two years ago after we decided our perfect son was good enough. However, shortly after I turned 41, we were told I was pregnant! We were told my due date and heard the heartbeat at 6 weeks. My husband and I were so excited and thought, there must be a reason we’re having this child. Thursday during an ultrasound, I was told the baby stopped developing at 6 weeks, I’m about 9’weeks now, and there was no heartbeat and nothing in the SAC. I’ve gone through a ton of emotions, but decided to share my thoughts and feelings on FB. It was so therapeutic for me and friends and family told me about their losses. Thank you for sharing this. Thank you. Inhale miscarried 7 babies. Coming up on the anniversary of my last one. Its so heartbreaking. I have lost so many people in my life. It makes me so sad how people can misjudge you when you are grieving or think you should handle the loss better. I am blessed to have three children but my heart aches for my losses. I am so glad i found this site. All you women are amazing and it gives me strength to read these stories. As i cry writing this trying to come to terms with the loss of my of my identical twins who passed away on 22nd July 2016. Their small hearts just stopped. I question why over and over. As an older mother to conceive was a miracle, but to have twins was beyond any joy i could feel. I only compare this joy to the birth my beautiful 4 year old daughter who is keeping me positive and always asks me if i am ok. I will take strength that i am going to learn something from this experience, but at some point, i am barely keeping my head above water. I that whatever brought those miracles into my life, even if it was for a brief 8 weeks, i will never forget my beautiful spirit babies. I wish I would have found your post much earlier. This is almost exactly me to a T. I lost my 3rd child, a baby boy, this past February. I last saw him perfect and healthy at our 12 week ultrasound. I went in for a routine check at 16 weeks and he was gone. My world shattered that day. I never thought something like this could happen to me after 2 “normal” pregnancies. I was far enough along that I had to be induced. We got to meet our precious baby boy face to face and tell him goodbye. Hardest day of my life without a doubt. I still cry frequently when I think of my boy, usually in the car by myself. Everything you have said is so on point with my extremely difficult emotions right now. We have been trying for almost 8 months now to conceive again. It’s so hard to accept that it is all out of your control. It’s hard not to feel like a failure some days but I try so hard to be strong for my other kiddos. Thank you for saying everything that I feel everyday! Thank you so much for writing this. It’s the most well written peice I have read on the subject and touched my heart in so many ways. Like the dates that become so important to you. Here I am, one year on from the date of finding out I was pregnant, searching for miscarriage articles to read. Most days I would try to put it to the back of my mind but on these days all of the emotions come back in full force. A heartfelt inspirational article. Thank you for sharing. I had my second miscarriage last Thursday and the doctors have informed me that it is a incomplete miscarriage. I was 7 weeks and 4 days and saw Peanut and her heartbeat on the screen during my ultrasound on the day. By night, I was cramping and bleeding out. I knew I had lost her and broke down in my own bathroom. A week on, I’m numb but am still trying to get on with life. I go to work, come home and at various points of the day, I would break down. Anything would trigger tears and open my broken heart. Silent tears keep falling for all the hopes and dreams dashed in a moment. My relationship with my partner is rocky and I feel so alone and isolated as I try to grieve and heal from this heart break. Your article has helped express some of my feelings and experiences which I have struggled to put in words. So thank you. Thank you for sharing and for saying things that I haven’t been able to express. To all the beautiful ladies who have had to go through the loss of losing a child, my thoughts and prayers are with you. Thank you so much for sharing this story and your lessons. We just lost our baby at 10 weeks and it has been so hard already. Things like this is what is helping get me through. Hi there, and thank you for speaking so much truth and comfort through your story. I have been isolating and avoiding the grief, and I do believe that I found your article tonight by no chance. I have been in a long toxic relationship, that needed to end. When I finally took a step towards change, I traveled abroad on a mission trip and pursued my passions. While I was away, I experienced a very painful and scary “period” that at the time I had no idea what was actually happen. I was pregnant for 10 weeks, which would of been the last time I saw the father of the baby. I was very concerned at the time, but reassured by just thinking it was a heavy period. I had no idea I was pregnant. Upon returning home a few months later, and not having a period since that moment, I went to the doctor to be examined. The doctor told me what I experienced was an early miscarriage. I couldn’t believe this, but I felt it immediately in my heart that it was true. And this baby was alive inside of me. I told my past boyfriend of what had happened, and within his shock he continued to demand I was lying. He didn’t want to believe it was true. He was a dad. This was our baby. I am strong in my relationship with The Lord, and through this he has given me peace and comfort. But I miss the human connection and support. I want to thank you again, for this amazing story that can help direct me in seeking optimism during my time of grief. This is so beautifully written and every single lesson hit home. I experienced a miscarriage on December 5th when I was 11 weeks pregnant. My husband and I were so excited for our first baby. We are still dealing with all the emotions and trying to move forward. I read your post to him and we both cried because each point you made we felt the same in our hearts. Reading things like this help so much to know we aren’t the only ones feeling this way. It is interesting reading this blog again 3 years on from when I first read it – when I was pregnant with our twins and searching for information for coping when one of them passed away before the ‘viable’ 20weeks. Thank you for bravely sharing your thoughts and helping those of us who felt so ‘alone’ in the suffering. In my experience of loss, I battled on trying to ‘hold it together’ because I lost count of the number of times I was told to be grateful I had one still, or that I was so big – was I sure it wasn’t twins. There is really no one way to describe the rollercoaster of emotions when grieving a little one lost (that you are still carrying) and to feel the guilt of not being able to change that – or to feel any joy about the healthy little life that is still growing within and keeping you up at night kicking your ribs. I rolled my eyes when I was told ‘time will heal’ but it is so true – I went through a very black tunnel and now I can see the light… I can see the joy again and to anyone also struggling through – just hold your family close when ever you need, and when you are ready, let go of the pain of losing a little one. The sadness will linger, but rather than clinging to the sadness of the loss, or feeling you need to replace what you lost – cling to the happiness you once held a little life within, and how they have made you a better person and mother for it. When there is gratitude it is hard to feel anything else. I wrote poems, I kept the condolence cards and scans in a little envelope and have done special little things like plant camellias each year. For each mother it will be different but what helped me the most was when I changed my focus from the past, to creating new happy memories for both me and our family. I am a real planner and perfectionist by nature, so learning to let go, accept it was out of my control, grasp the joy when it finally came, and let time heal was a very big life lesson. You will find your way through, just take it one day at a time and be gentle on yourself. This is the post I’ve been looking for. I’m going through a miscarriage now, this would have been my first. Of course all my emotion are very fresh but I’m worried I’m sinking into a dark place. And as time goes on, I’m not feeling better and better as I usual do with difficulties in life. Every post has been rooted in sadness and I’m already there. I’ve been looking for something different. Thank you for sharing the life lessons that are beautiful, and can come from such a hard time. I think I’ll be coming back to this one often. Sometimes, I wish I’d not known I was pregnant until the 3-month mark, but I knew early on that I was. I’m now 45 years old and feel as though it’s too late. At this point in my life, I don’t honestly feel any deep desire or yearning to have my own child. Having said that, I do love children and would be open to adopting. I think what I would find most difficult is how to express to a romantic interest that I’m not against having children, just not my own biological children. It will be what it will be, but this is where I find romantic relationships difficult. The ‘default’ belief is that if you’re thinking of having children, then it’s assumed you will bear you’re own child. It’s so hard, at times! As someone who just learned that I miscarried, reading this is powerful and emotional. The emotions that are felt from this experience are something no one can take away, but the lessons are even more valuable. Thank you. I got pregnant a little over a year ago and I didn’t realize that I was miscarrying at 6 weeks. When I saw everything I saw with that miscarriage, I will never forget the pain of a such a loss. It was my first pregnancy. I realized that it all happened because it was not the time for me and I was stressed out so much, I could not take it any more I still think about that baby. I sometimes feel a dark whole deep down inside. I felt stronger about it by reading other women’s stories, and now I feel stronger with my Fiancee because I told him about the miscarriage. This post is very heart touching as I recently experienced my first early pregnancy loss. It has been an incredibly difficult thing to cope with emotionally and physically for both my husband and I. We were going to surprise our families at Christmas time with our BIG news and this would be our first. Getting through the holidays was incredibly difficult. There are many silver linings that came from going through this early pregnancy loss and many of them you touched on in this post. I am an ultrasound technologist by trade and it has given me an incredibly new respect for women having miscarriages emotionally and spiritually and I often believe that this happened to me to help me understand and help them cope as well, to let them know that they are not alone. Thank you for sharing your thoughts in this post, they have helped me tremendously!